There is a stretch of beach on the Mediterranean island of Cyprus. It has has been home to Green and Loggerhead turtles for thousands of years. Tiny turtles have just hatched on Lara Beach. They strain against the surf to reach the Mediterranean Sea, embarking on their life's journey. In 20 to 30 years they will return - they'll be back at this exact location to lay their own eggs. These turtles were hunted to near extinction in the first half of the last century. Now the Mediterranean's endangered Loggerhead and Green turtles are making a comeback thanks to pioneering conservation efforts. That's according to Cypriot marine biologists. Those efforts began in 1978. Back then, there were just 300 turtle nests on the island's beaches where the reptiles return to lay their eggs. The population has grown to around 1,100 nests last year, according to Andreas Demetropoulos. He is the founder and co-head of a turtle conservation program. It is under the island-nation's Fisheries and Marine Research Department. This increase is especially encouraging for the Green turtle. It lays its eggs in only two countries - Turkey and European Union member Cyprus. There are only about 1,500 female Green turtles that lay eggs in those two countries which is less than the 6,000 female Loggerheads — or Careta Careta — that lay eggs across the Mediterranean. According to marine biologist and conservation program co-head Myroula Hadjichristophorou, Cyprus has 200-300 Green turtles who lay eggs while the number for Loggerheads is more than double that. Cyprus instituted its conservation program long before any other EU member and that has paid dividends, said Hadjichristoforou. Efforts include guarding against the turtles' main predator — foxes — and passing crucial legislation in 1989. It allowed conservationists to protect two key beaches in the island's west and northwest, keeping curious locals and tourists at bay. Before this, residents would camp on the beach and fire up barbecues with little concern for the turtles. But over time, Hadjichristophorou says the region has built up a conservationist culture — from schoolkids to adults — so that folks who spot something like an injured turtle notify the authorities immediately. Turtles have been around for 200 million years on Earth but have called the Mediterranean home only for about 10,000 years, said Hadjichristophorou. Remarkably, the turtles' own ingrained "biological GPS" brings them back to lay their eggs to the same beaches that their ancestors chose thousands of years ago. This is a very interesting article! It is very kind and encouraging to help the Green Turtles out. This is also a way to show people that we can always lend a helping hand. I love turtles! I found this article very interesting,and hope the turtles make a bigger come back. Cyprus is concerned about its turtles because they are endangered. Cyprus is so concerned about there turtles because they don't want to have more animals become extinct. They are trying to preserve theses turtles habitats. They are also trying to warn other about this special turtle and to be aware of them. This turtle's reproduction cycle can last up to 3 decades and this is important that they don't hurt the animal and try to protect them. Cyprus is concerned about it's turtles (the loggerhead and green turtles) have only been around the Mediterranean for about 10,000 years, but have originally been around for about 2 million years. 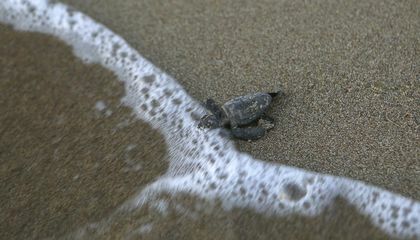 Cyprus is trying to keep the population growing, because in 1978 there were only about 300 turtle nests, but now and there's 1,100 nests more that grew last year. Myroula Hadjichristophorou says that there are about 200-300 Green turtles that lay nests in Cyprus. 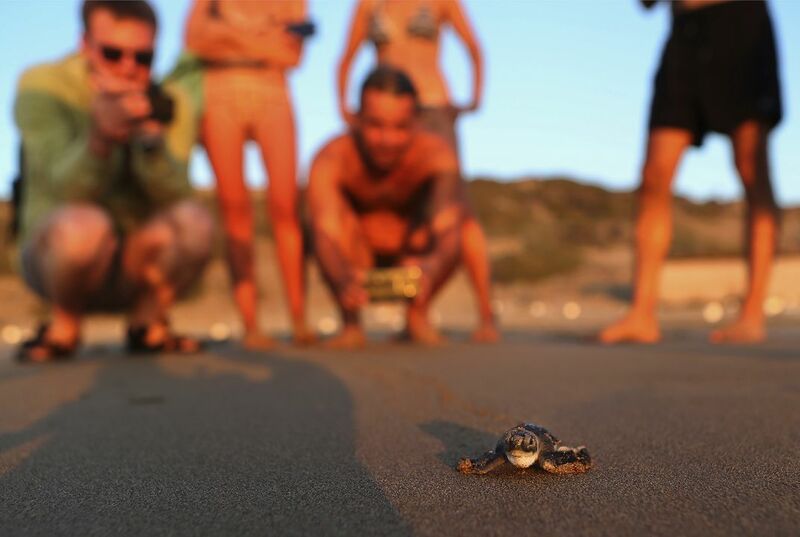 Cyprus is starting to take more action, by letting tourists/visitors know that if they spot an injured turtle, to immediately alerting the authorities to keep the population going. Cyprus is so concerned about its turtles. It is concerned about their turtles because they have been there for 200 million years. And at one point they were hunted and almost extinct.This is what I think. I think turtles are unique,because they’ve been on earth for 200 million years.That’s why I thinks turtles are unique. Cyprus is so concerned for its turtles because the turtles are endagered and, probably,a lot of the people that live on Cyprus are turtle lovers. The reason Cyprus is so concerned about its turtles is because they are a endangered species. Turtles have been around for over 200 Million years. Green turtles and Loggerheads are native to the island so of course they don't want them to go extinct. The turtles also can make the island a good place to go for a vacation. In the text it says, "When people come here with their families, their children, they see the babies coming out of their nests, this is something that they will never forget." Cyprus is so concerned about its turtles because they were near to extinction. They are trying to protect the turtles from predators such as foxes. Many tourists also let authorities know if an animal like a turtle is injured.